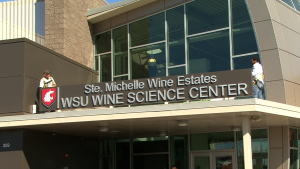 RICHLAND, Wash. – Washington State University Thursday dedicated its new wine science center here and announced that the center will bear the name of its top supporter. 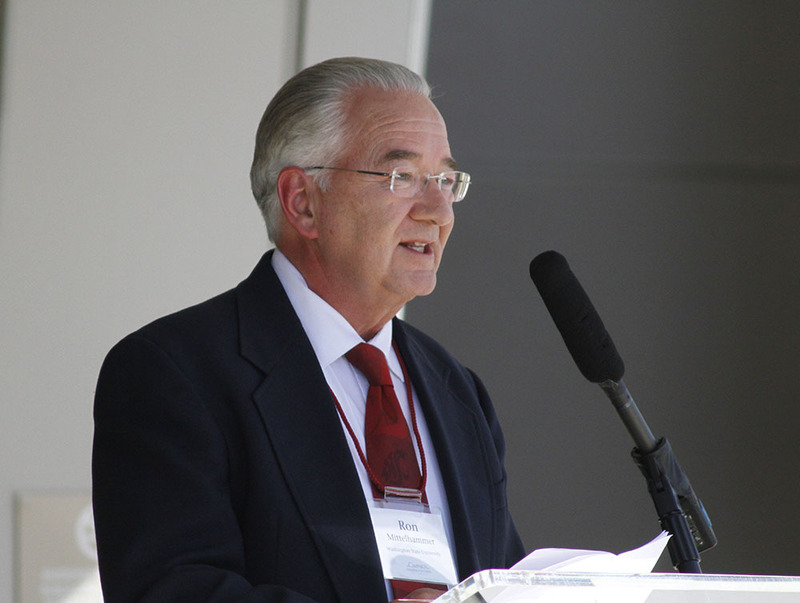 Theodor (Ted) Baseler, president and CEO of Ste. 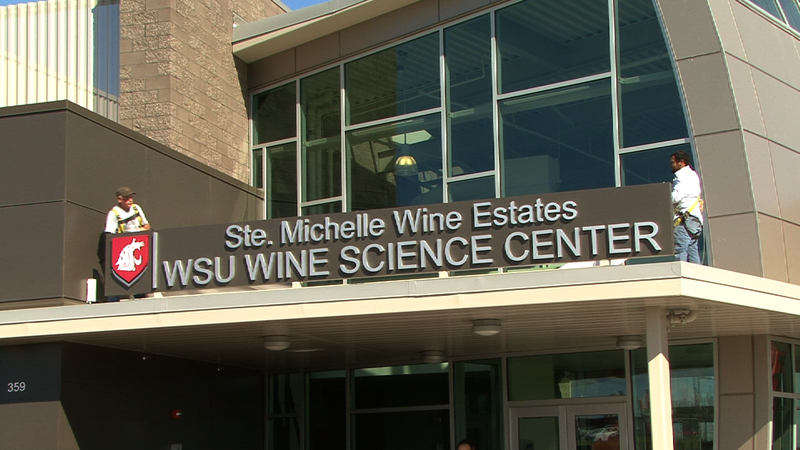 Michelle Wine Estates who also served as chair of WSU’s Wine Campaign, said the company understands the direct correlation between the most successful wine regions of the world and proximity to higher education institutions conducting wine science. 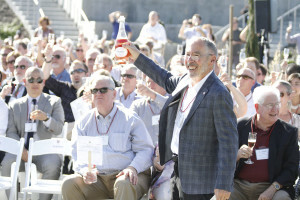 “We have always recognized the importance of a vibrant wine industry in the Pacific Northwest, and quality education is a key component,” he said. Over the past several years, the company has established an endowed professorship in viticulture, supported the endowed chair of the director of the viticulture and enology program, and raised more than $40,000 per year for student scholarships. “Our support will continue,” Baseler added. “Ste. Michelle Wine Estates is pledging an additional gift of $500,000 to directly support the Wine Science Center.” The gift completed the fundraising for the construction of the building. 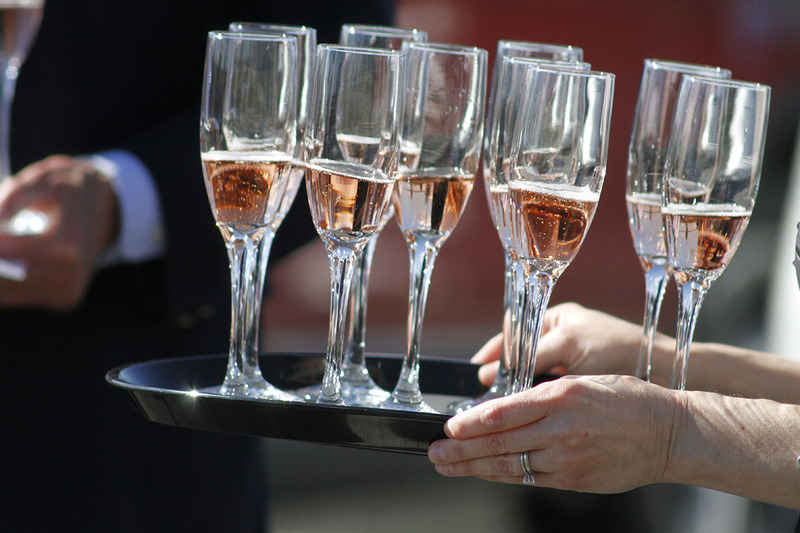 In addition to private support, the $23-million Wine Science Center project was funded with $4.95 million from the state and a $2.06-million grant from the U.S. Economic Development Administration. It is built on land donated by the Port of Benton in Richland. 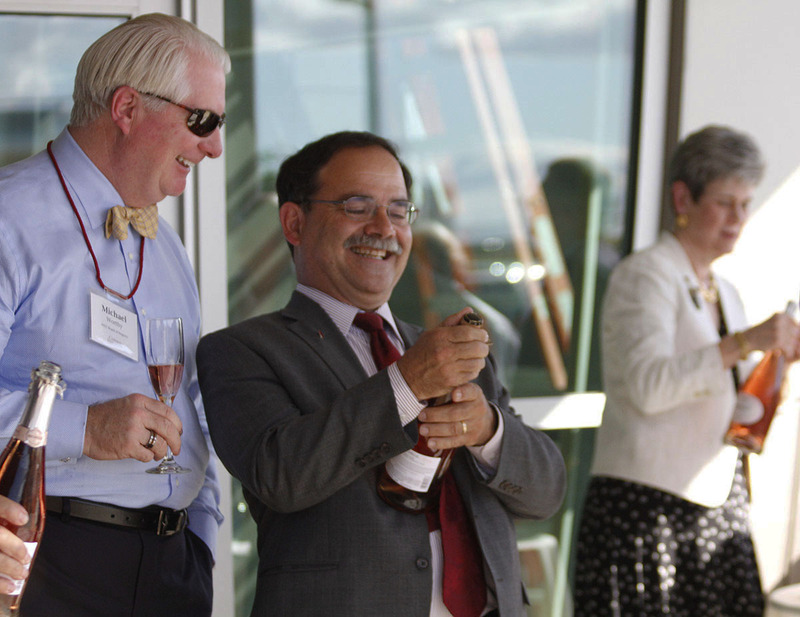 Ron Mittelhammer, dean of WSU’s College of Agricultural, Human, and Natural Resource Sciences, emphasized the importance of the institution’s close partnership with the wine industry. 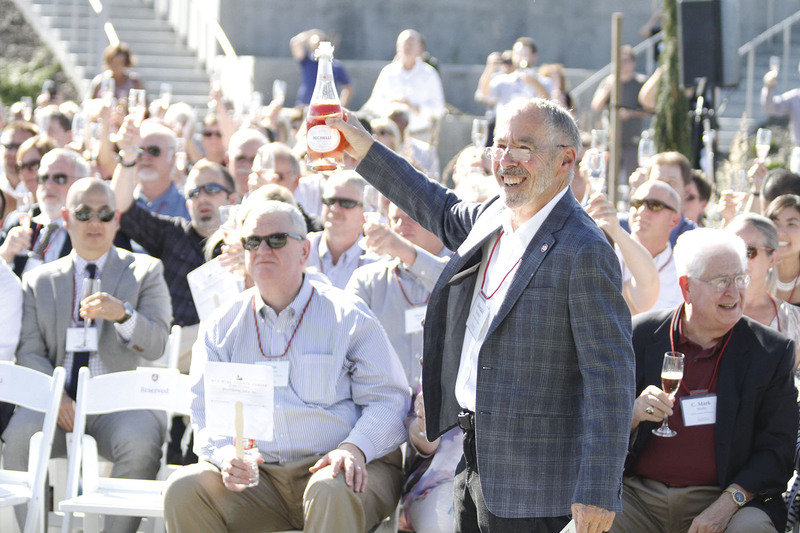 “Our goal is to continue building a program that is informed by and mirrors the excellence of the Washington wine industry,” he said. 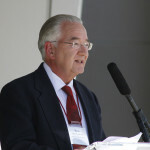 Keith Moo-Young, chancellor at WSU Tri-Cities, noted the strategic location of the new center and its benefits to the state’s economy. 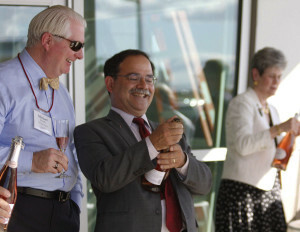 The new teaching and research facility, considered one of the most technologically advanced wine science centers in the world, features research laboratories and classrooms, a research and teaching winery, a two-acre vineyard, and greenhouses to train technical personnel to support Washington’s large and expanding wine industry. It includes meeting and event space with a large atrium, Washington wine library and conference rooms. Industry members, students and researchers from around the globe are invited to use the center as a gathering place to spark innovation, fuel economic development and support local, regional, national and international collaboration and provide a catalyst for research breakthroughs. 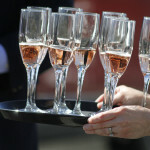 Washington is the second largest premium wine producer in the United States.